Rent Café Campagne | Corporate Events | Wedding Locations, Event Spaces and Party Venues. Whether you have a full lunch or dinner, week-end brunch or opt for a quick mid-afternoon coffee, we create a place to enjoy regional French cooking and beverage parings for leisure, business, or special occasions. Come share in our ongoing commitment to living the pleasures of a well-crafted life! of Pike Place Market, Café Campagne can serve as the ideal platform for your next private function, complete with it’s unique charm and flair. 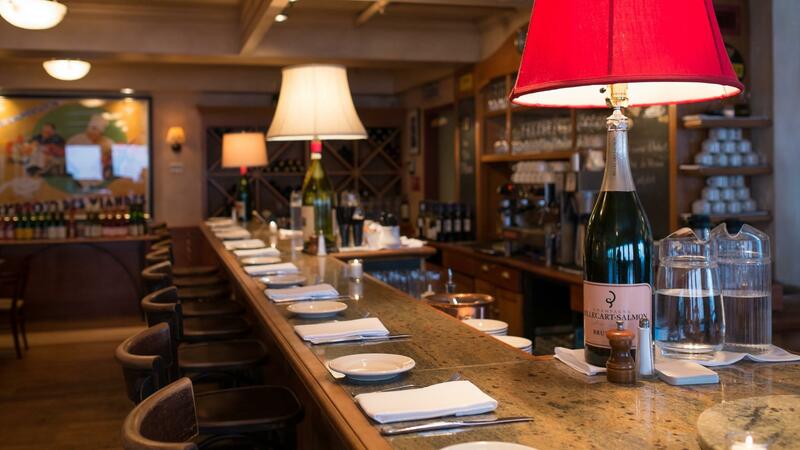 Café Campagne provides old world charm, tucked away in historic Post Alley. The classic French restaurant offers a dining experience that is familiar in its traditional French cooking, while reflecting a respect for local products and personal comforts, the Café conjures an ambiance that is relaxing and cozy paired perfectly with highly professionalized service. lunch, reception, or dinner, the back room of the Café, the Salle du Marche (Market Hall), provides a completely private setting for your group’s wining & dining experience. A complete buy-out of the entire Cafe is done on a case-by-case basis. Share our table and our love of great wine and delicious food, over a glass and a nibble. Connect, converse, and celebrate life’s every day and exceptional moments. Along with the restaurant comes the knowledge and careful hand of our head chef and proprietor, Chef Daisley Gordon. Our team is here to provide you with a wonderful, seamless, and memorable dining experience.